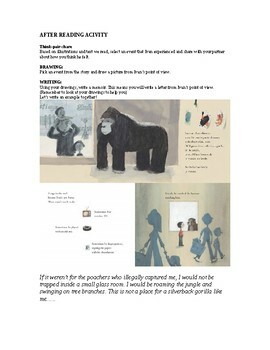 After reading activity- Ask students to pick an event from the story and draw a picture from Ivan’s point of view. Next introduce writing activity- Memoir from Ivan's point of view. I included my example I wrote with my class.